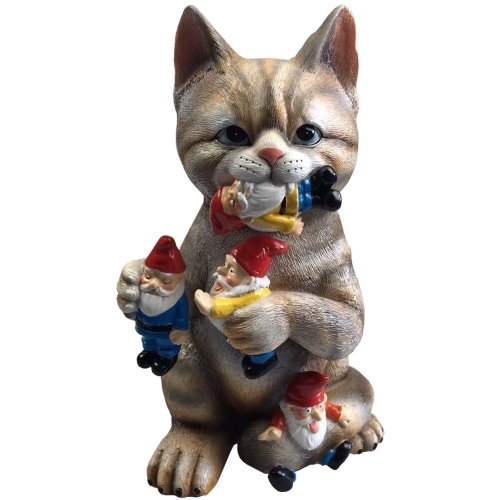 No more boring garden decor - this beautifully hand painted resin cat with tiger strips and cuteness overload is sure to be the centerpiece of your garden this year and a joy for your friends to find hiding in your Annuals and Perennials. Don't worry - only eats gnomes and not dogs, mail men or neighbors. Perfect gifts for gnome lovers or haters, Moms, Dads, Daughters, grandparents. Wonderful housewarming gift.